Once upon a time, around the days when black-and-white television had changed into colour television for close to a decade, Saturday nights at home were movie nights. Daddie went out to the movie store and hired a 16mm movie in a big tin drum to take home. Movie projectors for 16mm films were still a bit of an upmarket thing and not very widespread. But they were there and in countries where broadcast TV was not available (yes, there still were a countries like that) the Saturday night or Sunday afternoon family movie time with a 16mm movie was just as commonplace then as the video-store with video tapes and blu-rays were a few decades later. Come the Internet in the early 90's. Dial-up Internet. ASCII art was a about as close to showing pictures as it got in the early days. The compressed picture formats came around. The dial-up lines were replaced with DSL, and people like YouTube figured out how to deliver small video clips over narrow bandwidth lines with some success. Most of the time you had to download the entire clip first before you could actually view it in motion speed, but hey, who would baulk at that if you are trying and testing new things. And at the time, it was sort of mind boggling to be possible at all. Another decade went by and the ADSL2 speeds made it possible to actually view streaming video online whilst it was downloading. The download was always a few seconds ahead of the showing to mask the line buffering and any small hiatus in the downloads. The video players at the time did all that automatically, giving the viewer a good video clip experience with minimal effort on the user side. Whilst OK for short clips, playing full movies for an hour or more was still a hit and miss affair. Bandwidth was pretty unreliable in those days and you could probably see the first ten minutes, and then have to wait for five minutes or so to download enough into the buffers to play the next five minutes. Not really a good movie experience unless you're really desperate to see the thing. Then file sharing programs and automatic download systems were invented. Torrent files would hold the info where and what to download with complete movie files cut up into thousands of fragments, all downloading from somewhere in the cloud, from someone else's computer. Wildly popular. You put in the torrent. Let it spin for a few days. And slowly but surely the complete movie file comes fragment by fragment on your hard drive and when complete you can play it. Until lots of copyright holders starting to protest loudly against these practices and a few take downs, jailings and other nasties later this entire torrent business went underground, out of sight, hidden behind VPNs and other dark methods. But it is still there and apparently rather thriving. If you want to see the latest episode of a new series or movie, get Vuze or some other Torrent program and you'll find and get whatever you're looking for. Come one decade later into the twenty first Century. High speed broadband on cable television has taken a flight with DOCSIS, connecting hundreds of millions of subscribers with at least 10Mbps. In the latest versions of DOCSIS that has become 100Mbps as a standard and 1Gbps with DOCSIS 3.1 just around the corner. Fibre to the home becomes a commodity, no longer something which only exists in the labs. Delivering Gigabit speeds as a standard. And broadband subscribers start finding out that more and more broadcasters have their content available on the web for fast download or for online viewing. New video streaming protocols are invented. And for home viewing, these protocols now automatically adapt to the available line speed. If the speed slows down a bit, it doesn't stop the movie but just goes to a lower resolution. When bandwidth is available, the content will scale up to the highest resolution. All automatic ad effortless for the viewers. Viewing an online movie on a TV screen was still a bit of an effort. You needed a computer or a set-top box to connect to the Internet, then a HDMI cable or something to connect to the TV screen. Multiple boxes and multiple remote controls made life not easier. But then, suddenly and out of the blue, the "smart TV" was born. A standard TV set, with a smallish computer packed on the back that connected to the Internet and made it possible to display streaming content without need for set-tops and add-on boxes. Life went good. Then some bright sparks at the European Broadcast Union saw the lights and formed a HbbTV working group, whom defined and developed the Hybrid broadcast broadband TV (HbbTV) concept from scratch, making use of many already existing standards for streaming content and web browsing. Just putting it all together in a way that you could navigate your way to the content on a standard television receiver with a standard remote control without need for fancy set-tp boxes and the likes. It took a while to take hold, but in the European market you wouldn't buy a new TV set without HbbTV any more. It is today just unthinkable how you could ever have done without it. It's called the 'red button revolution', it is here and now and very, very real. Even on our remote island of Australia we have our own HbbTV implementation done by the joint broadcasters of Australia. Known as "Freeview Plus". Heaven knows why they had to give it a different name, fumble their own variety on the technical rules, and royally stuffed up a chance to get Australia in the front seats of television technology. But it is there nevertheless and won't go away any more. That was a few years ago and life in broadcast land and online video content went on without much of a splash. YouTube grew and became part of Google. ABC, SBS and the commercial broadcasters all set up sites where you could access past programs and see them again. And Foxtel had their own implementation of dial-up movies, delivered on-demand through the Internet, although, at a price. Meanwhile, the Internet Service Providers in Australia have seen a steady growth of demand on bandwidth, especially in the early night viewing hours when people came home from work, had something to eat, and then sat down in a lazy chair to watch a movie. The change from pre-programmed 'linear' television what you get from the antenna or from the satellite dish was slowly but very surely complemented and even replaced by 'on-demand' content from the Internet, which you could play at any time you wanted. Nothing too bad and too drastic really. People use more bandwidth, pay for more GigaBytes, and the ISP just provides it as and when needed as a matter of course. Not a big deal. But then, somewhere mid last year, something new happened in streaming video land. Out of the blue, Netflix entered the Australian market. And Stan followed suit. Offering gigantic movie libraries online for a fixed fee per month that would really fit easy into just about any family budget. And the take-up rate has been rather spectacular. Every smart TV suddenly had a built-in "Netflix" button that could get you connected in no time with minimal effort. Our poor Internet Service Providers saw it all happen, but were really overwhelmed by the pace that Netflix took to bring streaming media to the masses. 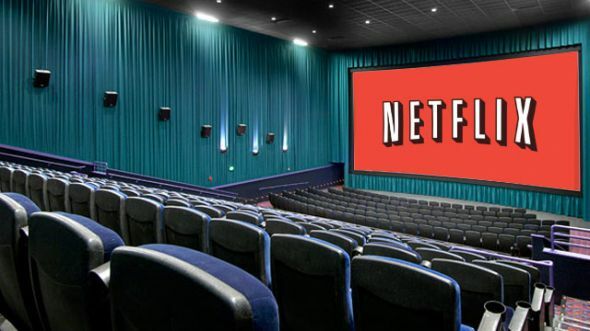 Being used to adding a bit more capacity to their networks every now and then, it wasn't really a big deal when the first streaming movie trends emerged. But suddenly reality hits. When everyone on your network switches on a streaming Netflix movie after dinner and coffee, the demand goes through the roof. And just adding a bit more bandwidth is not going to fix it. Mass consumption of Netflix requires not just a little bit of bandwidth but oodles of bandwidth. Think about doubling, tripling and quadrupling your capacity every quarter or so. It is just phenomenal the way bandwidth consumption has taken off with the coming of Netflix. It doesn't go up linear. It goes up exponential. And that, my dear friends, is what we now call the "Netflixification" of our Internet.